The Cavaliers came into free agency looking to lock up the core of their roster for the next several years, and they did just that. 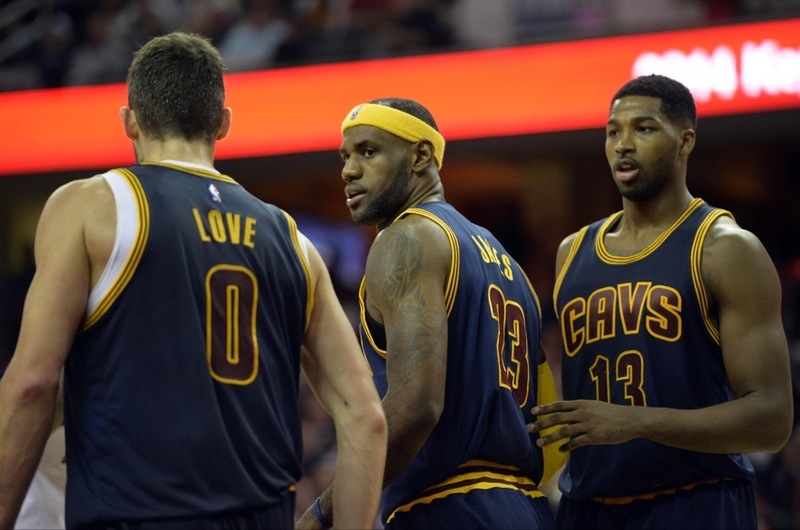 They reached agreement on deals with forwards Kevin Love and Tristan Thompson as well as shooting guard Iman Shumpert. Love and Thompson agreed to five year deals worth 110 million and 80 million dollars respectively according to mutiple media outlets. Shumpert agreed to a four year deal worth 40 million dollars according to mutiple media outlets. Now the Cavaliers have locked up the main core of Love, Thompson, Shumpert and All Star point guard Kyrie Irving for the next four seasons. All that’s left is the re-signing of Lebron James who is expected to agree to another one year contract within the next week. These re-signings is great for the franchise as they keep continuity with the roster and lay the foundation of the Cavaliers who in my opinion will be head and shoulders above every team in the Eastern Conference for the next four years. These signings also show how “All In” Cavaliers owner Dan Gilbert is with the franchise. He purchased the team for 375 million dollars back in 2005 and yesterday committed 230 million dollars in contracts and still has more moves to make. After luxury taxes, the roster will be over 200 million dollars on the payroll and Gilbert is willing to spend to put a championship team back in Cleveland. The Cavaliers continue to shop the non-guaranteed contract of center Brendan Haywood. ESPN NBA insider Brian Windhorst told ESPN 850 WKNR in Cleveland Wednesday afternoon that a team to watch is the Toronto Raptors who could look to unload the contract of All Star forward DeMar DeRozan to make cap space to sign Wesley Matthews. Another team to watch is the San Antonio Spurs who while unloading center Tiago Splitter in a trade with the Atlanta Hawks could still look to move forward Boris Diaw and backup point guard Patty Mills to free up more cap space to sign All Star forward LaMarcus Aldridge.